Moving and packing of furniture becomes a hectic process. Removalists Cranbourne north provide the best solution for packing and moving services. When you decide to shift a lot more ways are available to excel. But before going to choose any of the ways to think twice that your valuable things require special care. If you choose to do on your own then believe that you must put more effort than you think and isn't fair anyway. Even though you packing and shifting on your own estimate the cost you want to spend beforehand. So to avoid all such headache you need to hire responsible packing and moving service. Is your new location ready to shift but you do anarchy for it? 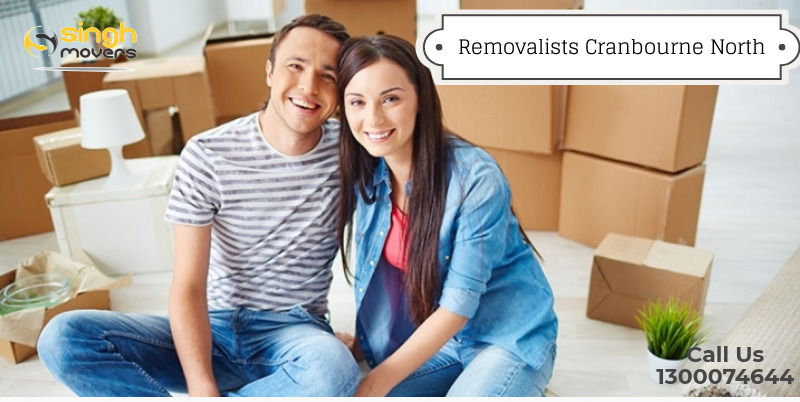 If you are a resident of Melbourne and are looking for the right packers and movers to protect your occupation, then we as an alternative are Furniture Removalists Cranbourne North who provide the best service at a reasonable cost. We know your time is precious that's why even you fall to pack and shift abrupt our Friendly Moving Men will properly wrap your belongings properly so it is ready to move safely. As we are entailed with excellent service and team your things get secured arrival. Our professional movers and packers are well skilled to relocate your belongings to your place on time. Alongside Singh Mover aims offer end to end shifting and relocating service to commercial and individual as well. Even it's odd to transport your possession due to tough routes our technical movers keep an eye over your belongings to ensure its rigidity. Our perfect packing makes any serious hard which cross while moving meaningless. How Singh Movers will help you? Be it individual move or commercial move any loads of your furniture will meet the reliable shifting process via our Furniture Movers. Sing Movers is the superior Furniture Movers And Packers we can assure that your relocation will be safely done by means of both physical and affordable. That's why we are well known as a skilled and experienced service. By offering the unparallel quality of removals we stick with efficient service also we help to free from tension. Since we deal with every removal with more positive aspects so your belongings will safeguard under our service. When it comes to Removalists Melbourne we use the right tools and equipment besides we follow strategies to make sure your possessions are protected even moving in the vehicle. We aren't perfect at one park overall we evidence responsible relocating from assembling to load off. We know packing and unpacking consumes a lot more time which is why we assisted with the time-consuming task. With our professionals, your goods have the greatest protection likelihood you don't want to tense about the process we take special care of it. Commercial packing isn't same as like individual packing and moving the Singh Movers- Movers And Packers Melbourne look for the possible ways to reduce the downtime during office moving service. Even overnight packing, shifting and unpacking will be made for you. It doesn't matter whether you require shifting weekends or some other holidays we work around 24/7 so don't hesitate to contact our Singh Movers And Packers Melbourne. Besides we are strict in the following punctuality so alone we finish our work on time. We guarantee that we provide the safest move even for your last possession from our truck. Right from assemble to disassemble we keep it sharp. Being connected with a lot of resources and facilities our Furniture Movers gets a professional moving service alongside Sing Movers are renowned for reliability so you can trust us completely. Undoubtedly packing and shifting your things which present in your entire home is tough to carry out. Aside from cost sometimes if you decide to move to the nearby place of Melbourne you choose to shift my own. Nevertheless, we know the difficulties which you want to face. Avail service from a company like us. Even you know the value of your belongings you aren't aware of the packaging which you want to offer to certain things. Whereas taking our service other Singh Movers you won't get any reliable Furniture Delivery Melbourne since we would've included with extreme knowledge and experience. Our expertise movers are well known about various innovative and best solutions which want to offer certain goods. Also, we trained our packers to talk friendly with our customers alongside your belongings will obtain the ideal quality of packing and moving service. Keeps your mind that we are the unparallel service offering company you can check out our credential and testimonials. Your goods are going to have a sophisticated environment by residing in a safe hand. Cranbourne north is the suburb in Melbourne situated in Victoria. The railway station called According to the 2016 census Cranbourne north had the population number of 20,110. Merinda Park railway station is located in the boundary of the suburb which is established in the year 1995. Cranbourne railway line is where this station is located after that the electrification route line between South Gippsland Highway and Pakenham railway line is situated at Dandenong South. The Camden Green Estate is the under developing suburb it is indeed a market garden in the Cranbourne Road. The responsibility we take on your belongings is unmatchable which you never experience even look around a lot of movers and packers. We are the service providers who offer fine packing and moving service by getting the requirements of our customers. The exact location of the place you shift is enough for Movers And Packers Melbourne we carry your belongings to the right place on time. Besides between packing and unpacking your possession will be safeguard properly. Our hassle-free service makes your things to meet flawless service. Right from fragile to valuable all your possessions gets the same attention even during transportation. Since we don't provide any service for sake we concern more about customer satisfaction. Look at our available reliable service which helps your goods to obtain optimistic packing and shifting. For instance, even it is small yet we consider that possession as your valuable one.